Welcome to Life, Love and God—a place for teen girls to find answers about, well, life, love and God! I’m Jessie. Consider me a spiritual “big sis”—someone who cares a ton for you and wants to help you thrive in your teens. (You just can’t raid my closet, okay? I have a biological little sister for that. lol) I hope you’ll take some time to look around, but first, here’s the gist of how the site works. 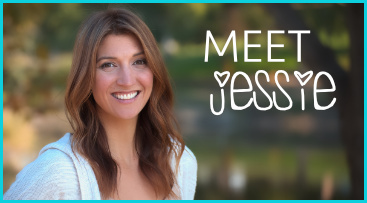 If you’re just curious, or looking for a biblical perspective on life in general, you can browse through the categories under “Ask Jessie” or the “main q&a topics” and “all tags” in the right sidebar of this page. You can also use the “search” field over there as well. You’ll also find my favorite picks for teens (books, music, and even modest clothes) on the Cool Stuffpage and on Pinterest. Find out more about having a thriving relationship with God on theDeeper page. If you browse or search through the categories and still don’t find the advice you need, email me a question on the Ask Jessie page. Please look through the categories first to see if you can find another question similar to yours. Deal? Why did you start Life, Love & God? My talented hubby Paco helped create the original site in 2005 for all the girls that came to the girls-only seminars I led at a camp in California called Hume Lake. We had no idea then that the Internet would work its magic and I’d get to meet and answer the questions of girls all around the world! Do you answer every question? For ten years, I answered every single question that came through Life, Love and God. We’re talking thousands of emails! And I loved it. But because our little online family has grown and grown (which is definitely exciting too), I am no longer able to respond personally to every question. 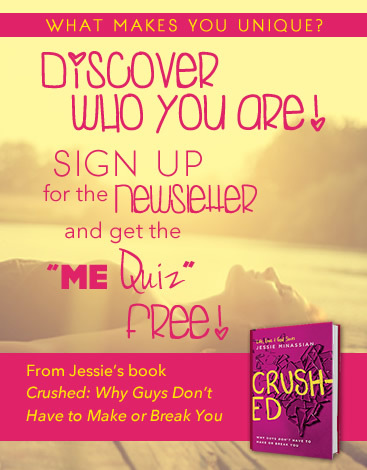 See the Ask Jessie page to find out how to submit a question and for all the details you need to know. Oh how I wish I could have one big small-group-slash-discipleship-crew with each and every one of you. Nothing would make my heart happier. Next best thing? The Life, Love and God series. Think of books like Crushed, Unashamed and Backwards Beauty as everything I would share with you if we could meet weekly in my living room. And if you want to know what my life is really like, connect with me on social media too (you’ll find links at the top right corner of this webpage). Getting to hang out in person with all you beautiful ladies is one of my favorite things to do! If you’re interested in having me come speak at your event, you’ll find all the important stuff on my Speaking page. So that’s Life, Love & God! Come back often. Better yet, find me on Facebook or Twitter to get updates.